Oh Me! Oh My ! Twig Dragonfly! Watch the birds as they land on their twig bodies to scout for bugs just a foot or two above the garden plants. As the birds leap into flight your joyous dragonfly begins it’s dance. 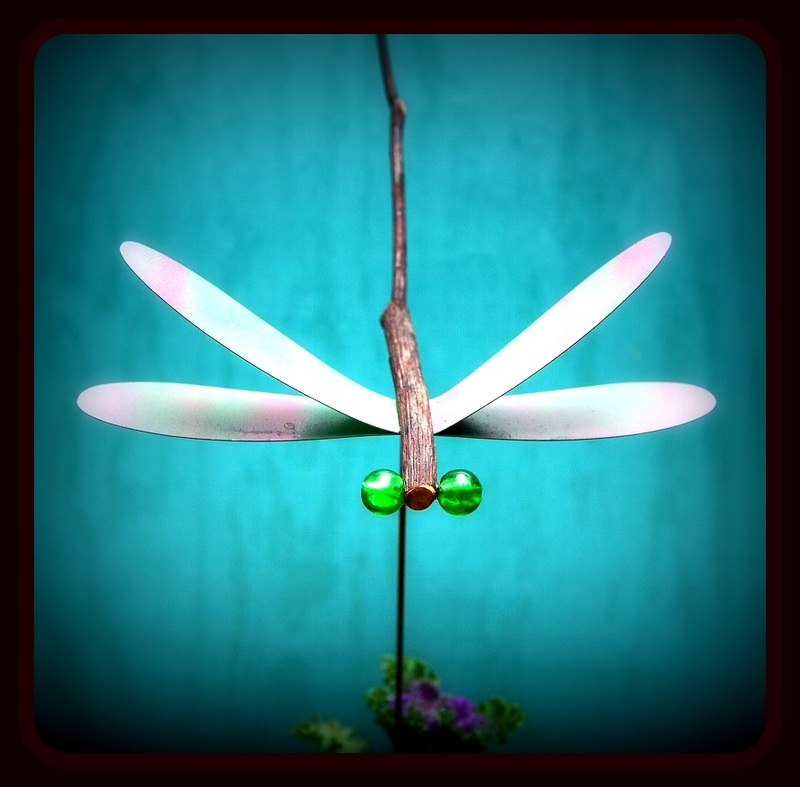 Rocking on the porch with a gentle breeze and your fun dragonfly is rocking with you. 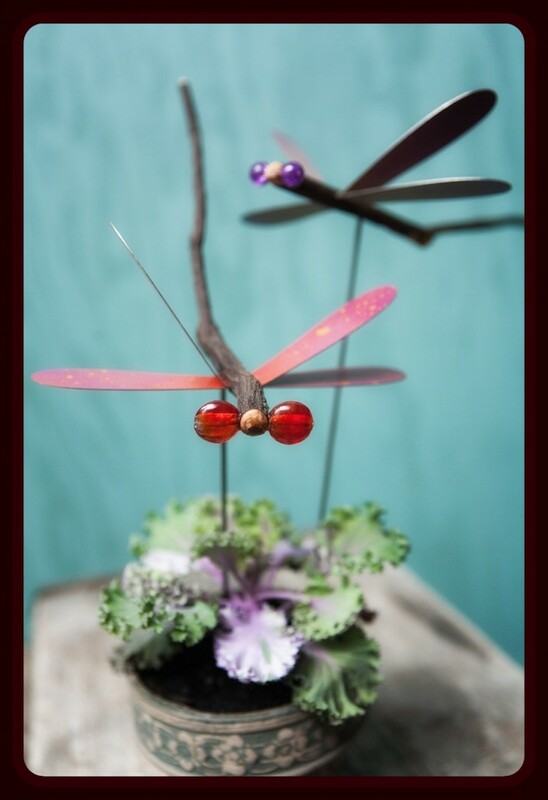 Yes, these clever bugs come beautifully balanced on a 36″ rod or gracefully hung with fishing line. A Magical Breed of a unique Dragonfly indeed. Deep in the woods of The Smoky Mountains we see dragonflies in the flowing curves of mountain laurel branches. After hand-cutting each branch, we bundle and carry our soon to be dragonflies down the mountain. It was in the old tin from the cabin’s roof that we first cut our dragonfly wings. 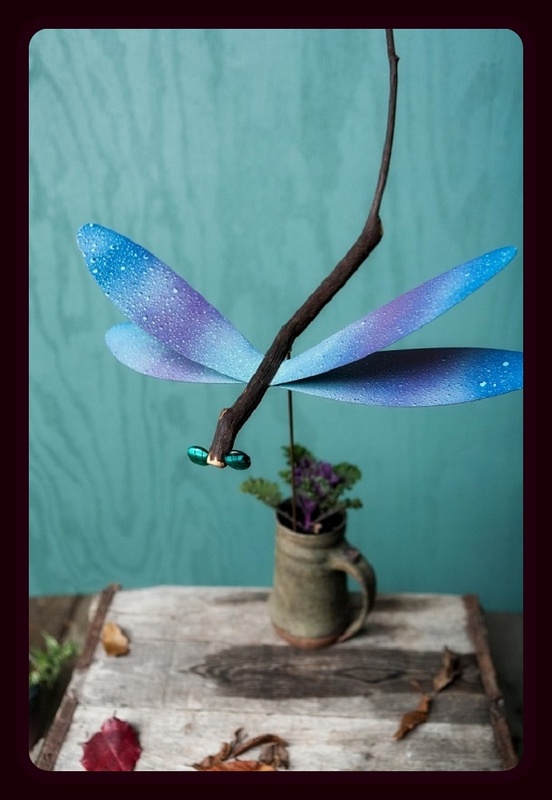 Now with shining glass eyes, dazzling metal wings and dense mountain laurel wood a unique, whimsical, Appalachian DRAGONFLY comes to life. Order on the store webpage. Simple Gestures, St. Augustine, Fla.
Wild Child Art Gallery, Matlacha, Fla.
Appalachian Fireside Gallery, Berea Ky. 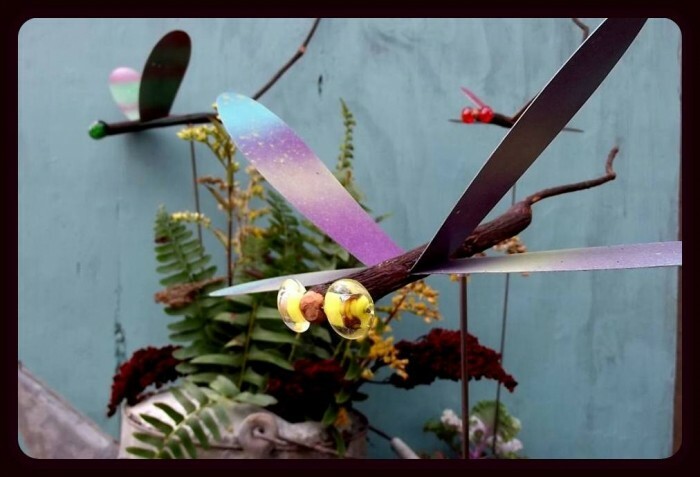 The Hippest Dragonfly Garden Art Ever! 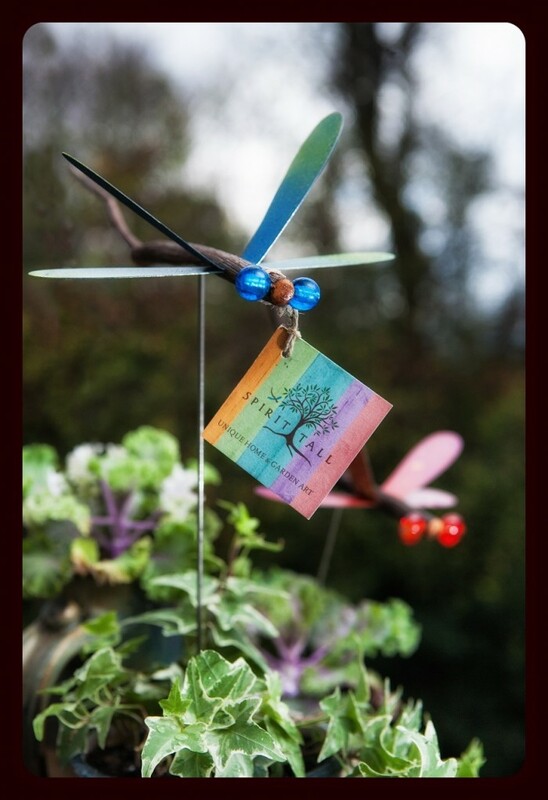 Each Dragonfly comes with it’s own tag making them the perfect gift.